We’ve created many CPA business cards for our customers who are tax preparation professionals. 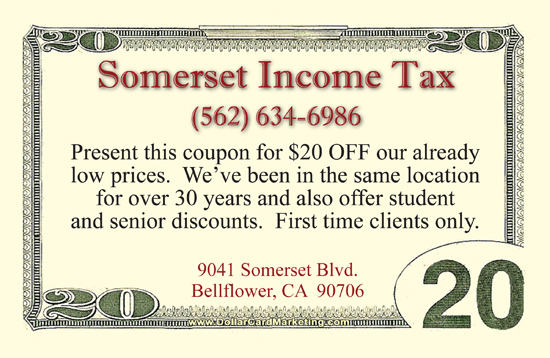 Here is a set of tax preparer business cards that we created for Somerset Income Tax service in Bellflower, California. Somerset is using our dollar cards as a tax preparer discount card to provide to new customers.